Morecambe’s Frontierland theme park closed in 1999 and has since been replaced by the Central Drive Retail Park. Stores here at the time of writing (October 2016) are Morrisons (supermarket), Homebase (DIY), DW Sports, and Next. There’s a small Argos catalogue store inside Homebase. 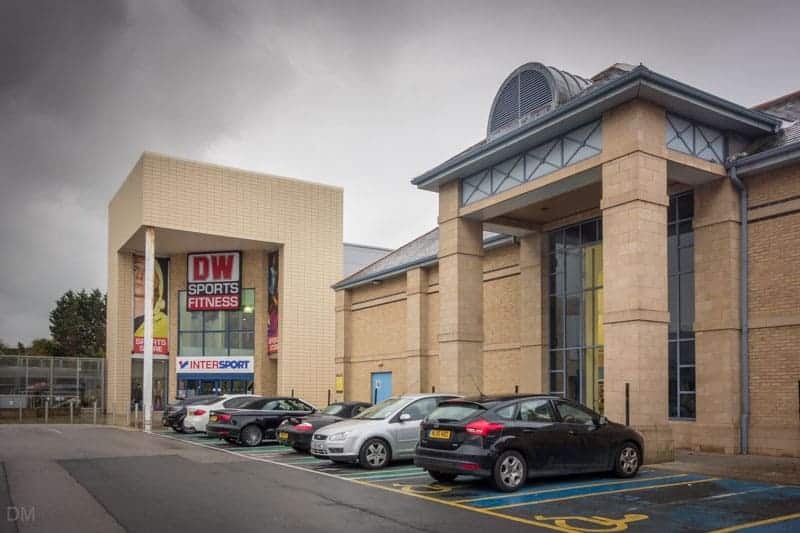 A DW Sports Fitness Club is attached to the DW Sports store. 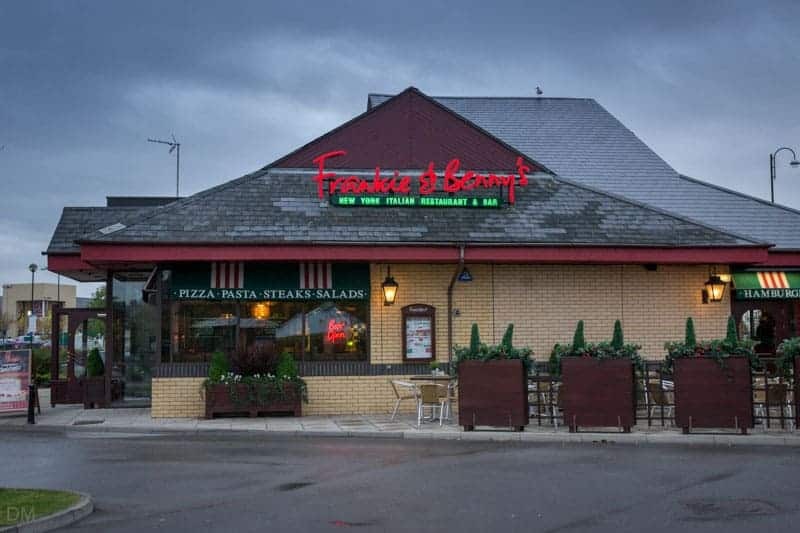 The retail park also offers a couple of places to eat and drink; Frankie & Benny’s (Italian restaurant) and Domino’s (takeaway pizza). Opening times vary by store but all are open seven days a week. Morrisons is open Monday to Saturday 7 am to 10 pm, and Sunday 10 am to 4 pm. 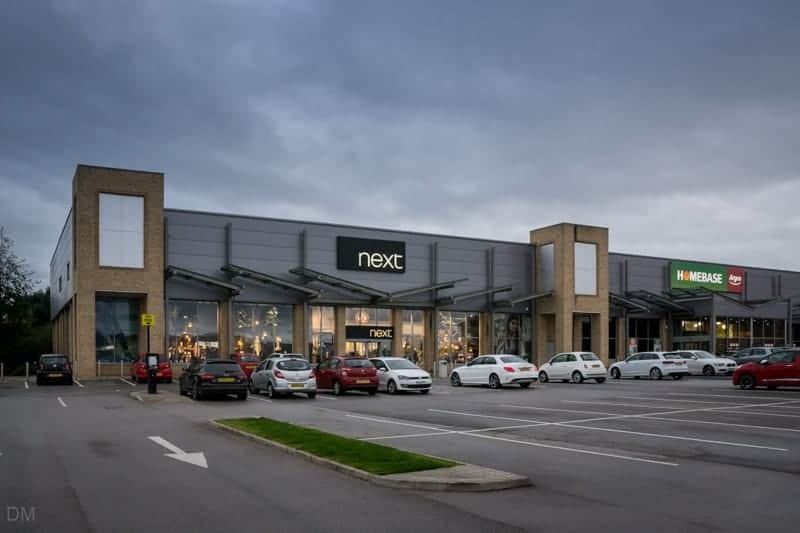 The retail park is situated on Central Drive in Morecambe (postcode LA4 4DD). The car park here has spaces for over 600 vehicles. 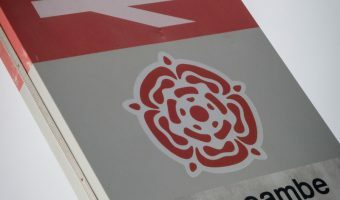 Customers enjoy two hours free parking (however at the time of our last visit the machines were out of order). 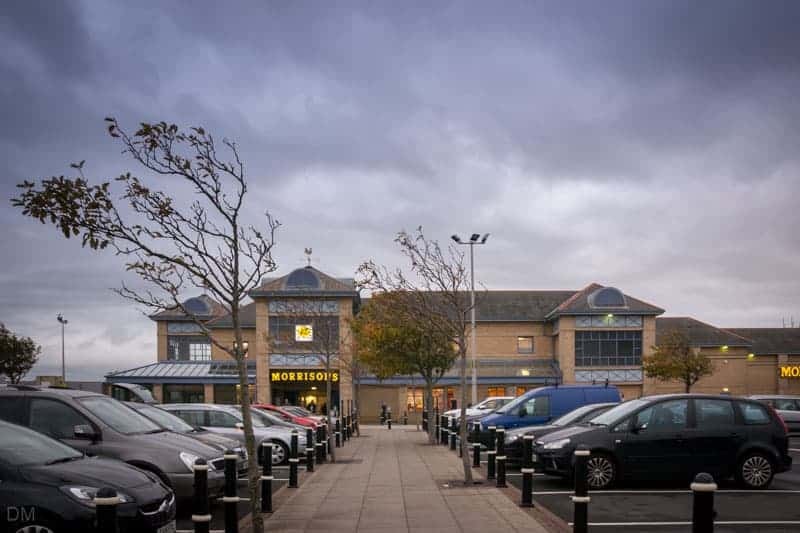 Central Drive Retail Park is situated right next to Morecambe Train Station and across the road from Morecambe Bus Station. Other places within easy walking distance include the Midland Hotel, the Promenade, Reel Cinema, Morecambe Superbowl, Morecambe Festival Market, and The Platform. Map showing location of Central Drive Retail Park. 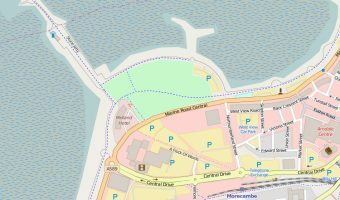 Interactive map of Morecambe. Shows hotels, tourist attractions, transport links, and more. 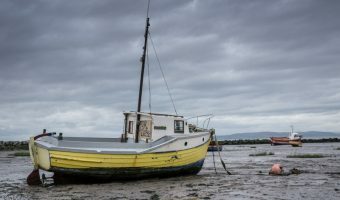 5-day weather forecast for Morecambe. View temperature, wind speed and chance of rain. Train station in Morecambe town centre.